Many homeowners take care of their own carpets themselves. They vacuum on a regular basis, and make sure their carpets don't look obviously dirty at all, which is certainly a good practice to keep in mind. However, Redmond, WA carpet cleaning needs can extend further than simple vacuum cleaning devices, since carpets are prone to all sorts of problems. Carpeting has been popular in households for a long time based on the texture and comfort that a carpet can add to a home. However, carpets can look untidy very quickly, which changes the situation. Some people may wonder why they vacuum constantly and yet their carpets still appear to be dingy. The discoloration of carpets often happens in a way that is difficult to address using only a vacuum. However, not all homeowners want to buy all the supplies they will need in order to keep their carpets in proper working order. Vacuums that are equipped with steam cleaners can be heavy and difficult to operate on a regular basis, or even an occasional basis for some homeowners. Even keeping a steady supply of the proper cleaning chemicals may be too much of an extravagance for a lot of homeowners. They can manage the day to day tasks on their own, but they may need professional assistance when it comes to making their carpets look truly spotless. 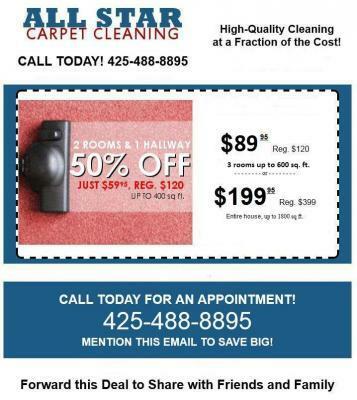 Our carpet cleaning business can meet all your Redmond, WA carpet cleaning needs in more ways than one. We can fix all of the dinginess problems your carpet may have developed despite your best efforts, and we can make sure your carpet continues to stay looking clean regardless of what happens to it.